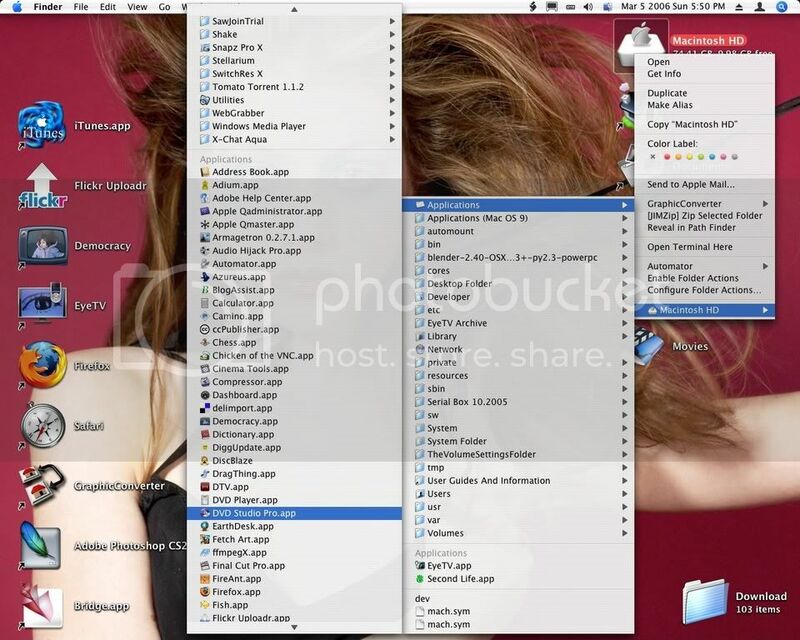 You could always just throw a folder into your Dock and right-click on it, bringing up the same thing. I have this, and it makes using my dock without a million icons on it easier... you can make a folder with aliases of all your commonly used utilities (CC Cloner, Disk Utility, Activity Monitor, Terminal, System Preferences, etc) or games instead of having them all on your dock. You want them all on the dock, though, because when SystemUIServer and Finder are down, it is the only way to get to Activity Monitor!